Buddy Club: High performance products for the street and race track. 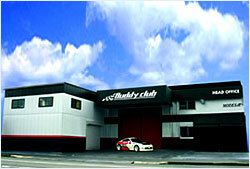 Buddy Club, made famous for successfully racing over 15 years across Japan and Asian Racing Circuits, is a leader in producing high-performance products for your demanding street and race track needs. Since 2003, Buddy Club USA has brought the same high performance components used by Buddy Club to achieve success in racing circuits around the world. Buddy Club offers products to upgrade almost every aspect of popular japanese imports. No matter which Buddy Club product is chosen, you can be sure it has been thoroughly tested and proven on the race track. Choose from a wide selection of accessories, electronics, engine components, exhaust systems, racing seats, suspension upgrades, and wheels that offer exceptional performance at a very reasonable price.